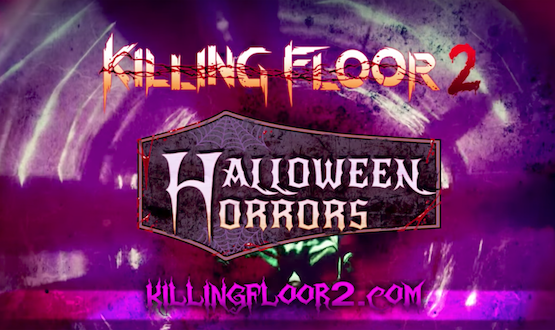 Tripwire Interactive announced today that a brand new free update is coming to the sci-fi horror FPS Killing Floor 2 just in time for Halloween. The update – which will be rolling out today for the PC and PlayStation 4 today, and the Xbox One next week – includes a brand new map, new weapons, limited Halloween themed items, and much more. New Map – Nightmare lives up to its name, dropping players into random rooms representing a variety of nightmares and phobias and tasking players to holdout against waves of Zeds. New Weapons – Medics get up close and very personal with the Hemogoblin, which drills into Zeds, draining their blood leaving emaciated corpses in their wake. Demolitionists receive their own high-tech in the Seeker Six, a rocket launcher that brings the ability to lock on to enemies and fire up to six rockets simultaneously. New Enemies – King Fleshpound and the Quarter Pounds cannot be contained and have broken out of the Poundemonium weekly game mode! Both enemies have been rebalanced for their introduction into survival game mode and will appear in normal play. New Limited Time Items – Earn Halloween Treat Tickets by playing the game, or purchasing Premium tickets through the store, and exchange them in-game for themed cosmetic items. New Daily Missions and Dosh Vault System – Players will receive a random set of missions each day that can be completed to earn Vault Dosh. While it won’t be usable to purchase items during matches, players will receive free Vault Crates containing cosmetic items at various milestones as their Vault Dosh accumulates. New Crates – New Emote, Weapon Skin, and Cosmetic crates have been added to the drop pool. Bug Fixes and Balance Tweaks – Check out the full patch notes in the Tripwire Official KILLING FLOOR 2 Forums for a look at the hard work the team continues to pour into the game. Killing Floor 2 is available now for the Playstation 4, Xbox One, and PC.